One of my favorite features in iTunes and my iOS devices is called Home Sharing . Home Sharing allows you to view/listen to content on any iOS devices by streaming it from iTunes. For example, if I have a movie on my computer in iTunes, I can watch that movie on my Apple TV by using Home Sharing . Home Sharing on the Apple TV has always worked great. The Apple TV will occasionally need to be reconnected to the computer it is streaming from, but streaming and viewing content in iTunes has always worked fine. Home Sharing on an iPad, iPod, or iPhone has been another story. Those devices have always seen the content from iTunes, however the way the device has listed that content is another story. Album Art could be wrong even though it is right in iTunes (for example, the movie The Lion King might show album art for National Treasure). Another big problem was that TV shows and seasons where displayed incorrectly. One show might have the name of an episode displayed as the name of the show itself. It might even have the wrong show listed for every episode altogether. I have tried finding a solution in Apple’s discussion forums and other websites, as well as emailing people I know who are knowledgable about this stuff. I have even tried software to fix the metadata of the files in iTunes. No luck. One of the biggest annoyances had been that only a certain number of listings could be displayed. If I had a TV show that started with the letter “W” and I had a certain number of shows listed before that series, that series would not appear in the list. I found myself trying to combine and delete certain shows so I could see what I wanted. However, I am happy to report this seems to have been fixed in iOS 7. Artwork is now displayed correctly and seasons and show names are listed properly. The biggest fix is that my entire library now shows up when Home Sharing is enabled. No longer will it cut off after a certain number of items. I don’t know why Apple took so long to fix this issue. Of course, if your device is not iOS 7-compatible, this problem still exists. I have a fourth-generation iPod touch that my son uses regularly with Home Sharing, so I guess that will never be fixed. 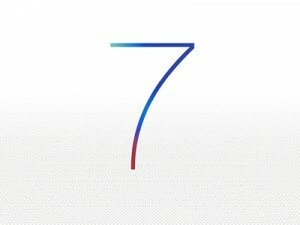 However, for those iOS devices that are compatible, this is just another reason to update to iOS 7.